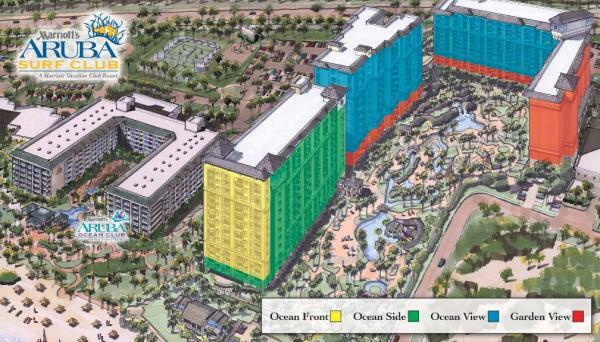 As you can see below the Marriott's Aruba Surf and Ocean Club sit directly next to each other. The Surf Club has a lazy river and consists of 3 buldings. The green and yellow building is called the Lighthouse Tower. The Building behind it is called the Compass Tower, and the far back L-shaped building is called the Spyglass Tower.